SACHIN :Genius Unplugged Book 75% OFF..
Upto 65% off On TP-Link Routers & Modems @SnapDeal.. Enter Mouse Optical Retractable EM-10S(Silver) @19..
Samsung NP300E5X-A0BIN Laptop (2nd Gen Ci3/ 2GB/ 5..
70% Off On Sandisk 16GB Cruzer Blade Pen Drive..
Sony Extra Bass XB Headphones @15% Off..
HP Pavilion 15-B001TU 3rd Gen Laptop At Rs 42590 @..
Toshiba C850-I0110 Laptop For Rs.27950 At Snapdeal..
31% Discount Lenovo IdeaPad U410 59-347981 14" Not..
19% OFF on Samsung NP350V5C-A03IN Laptop and Free ..
Flat 19% discount on Sony VAIO E15129CN/B (Intel C..
Snapdeal Hot Deal Rs.500 Cashback Offer On Laptops.. Original Dell Laptop Bag at Rs. 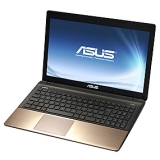 351@ Tradus..
13% Off On Samsung NP550P5C-S05IN Intel Core i7 La..
Deal of the Day Samsung Laptop Bag for Just Rs. 49..
Festive Savings offer, Flat 5% off on all Laptops ..
22% off on Toshiba Satellite C850-I0015 @ Snapdeal..
21% off on Asus F501A-XX187H Ultrabook @ Snapdeal..
Dell 3537 Laptop with 4th Gen Intel Core i5-4200U-..
28% off on Logitech M100R USB 2.0 Optical Mouse @ ..
21% Off on Lenovo Essential G505 Laptop @ Snapdeal..
Apple MacBook Pro Laptop at 12% Off @ Indiatimes..
Tradus Buy Laptops Online FLAT 10% OFF On Hp,Dell,..
Flat 10% Off On Branded Laptops @ Tradus..
9% Off On Samsung NP300E5X-A0BIN Laptop @ Tradus..
10% Off On Samsung NP300E5V-A03IN(3rd Gen DC/2GB/5..
21% OFF on SAMSUNG NP300E5V-A03IN Laptop with FREE..
19% Off On Lenovo Ideapad Z580(59-347567) Laptop a..
Toshiba Satellite C850-I0013 at just Rs. 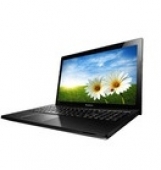 25,599 @ ..
Lenovo Essential G580 Laptop for just Rs. 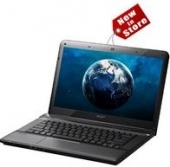 32928 @ ..
17% off on Samsung NP370R5E-S06IN Laptop @ Tradus..